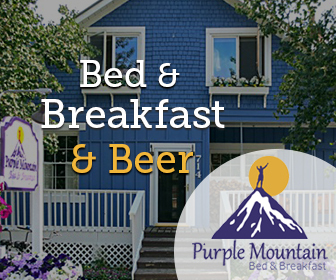 Whether you need to get up to the mountain on any given day, get the family down to dinner or even get home from a late night concert, this bus service has a variety of routes to get you from A to B. You can’t miss these buses as they are creatively painted with themes related to Crested Butte. All buses are wheelchair accessible. For ADA transportation, please call (970) 349-5616. The Town Shuttle is the main shuttle route that travels between the Mountain and Town. 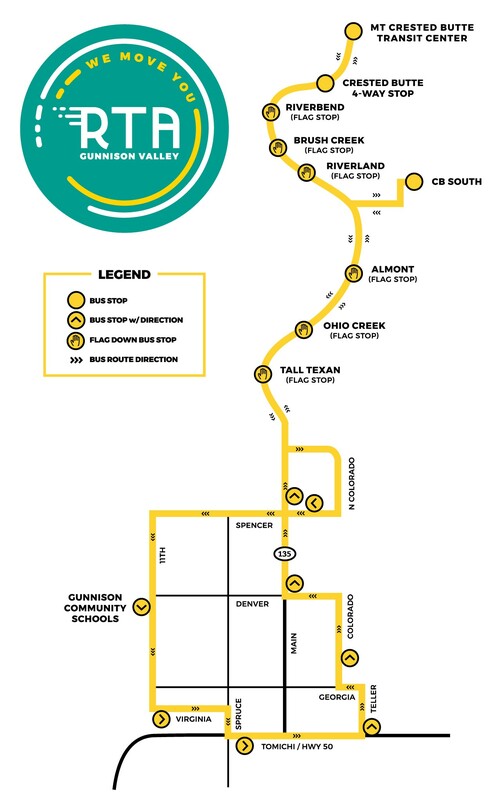 The route usually takes 6-8 minutes depending on weather. It loops through Crested Butte with stops at Old Town Hall, 6th and Belleview, the 4-Way Stop and Teocalli. Buses run every 40 minutes from 7:35 am to 10:55 pm fromApril 8th through June 7th. The Shuttle loops from Mountaineer Square, stopping at condos along Marcellina Ln. including Three Seasons, Outrun, Mt. Sunrise and the Chateaux. When the bus stops running at at 11 PM (old town hall) the late night taxi service ramps up. For only 5 dollars per person, the taxi will take you to your intended destination. Note: there are special occasions where the town shuttle will run late, such as New Years and Mardi Gras. Free transportation service to and from Gunnison and Crested Butte. The bus should arrive in Crested Butte approximately 15 minutes after leaving CBS. It will stop at the 4 way stop and Mountaineer Square only. First bus (Mountain Express) leaves CB South Red Mountain Park at 7:12 a.m.
Last bus (RTA) leaves CB South Red Mountain Park at 10:52 p.m.
First bus (RTA) leaves Mountaineer Square at 6:40 a.m., CB RTA 4-Way stop 6:48 a.m.
Last bus (RTA) leaves Mountaineer Square at 11:25 p.m., CB RTA 4-Way stop 11:33 p.m.